Recently the 358th issue of the Club Penguin Times was released! 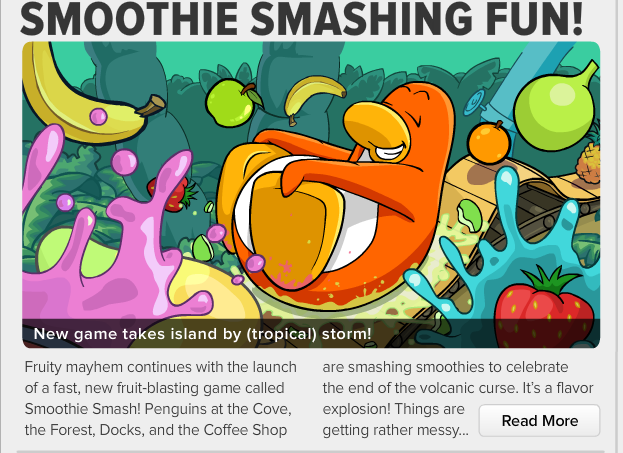 The featured story is about the new Smoothie Smash game. 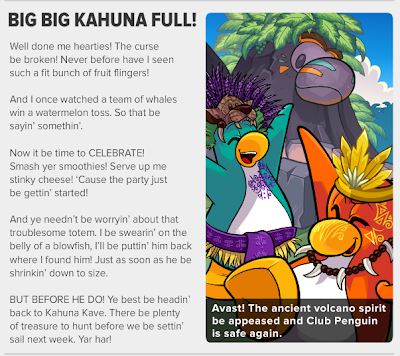 The next big story was about the BIG BIG KAHUNA being full! As always, last but not least, Upcoming Events. There are three events coming all in the next two weeks. I'm really looking forward to Planet Y returning since it doesn't appear much! 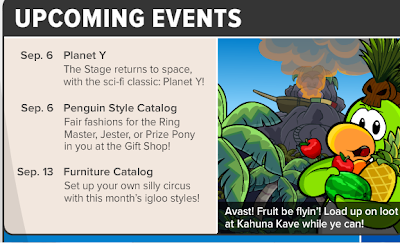 What's your favorite upcoming event? Leave a comment and let us know!